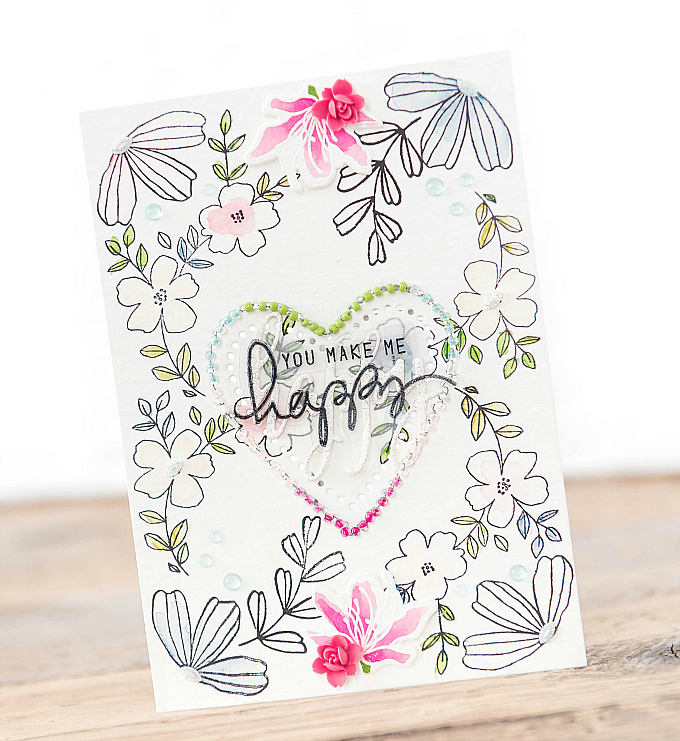 I'm back with yet another floral card inspired by Pinkfresh Studio. 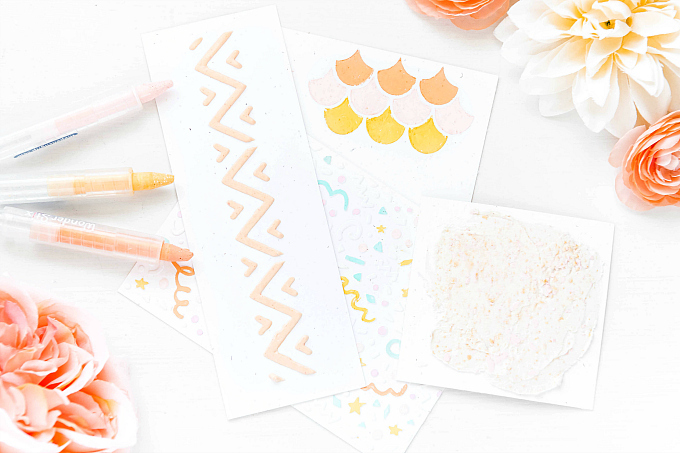 On Monday, I shared my Monday Favorites, and this set is definitely at the very tippy top of the list, so I thought I'd pop in and show another take on these pretty florals. For today's card I was inspired by some beautiful floral fabrics I've been spotting lately. I wanted to infuse a floral look that was fresh, modern and fun, without being too stuffy, so that I could do a little bit of beadwork for the focal piece. To start the card, I stamped a flower on each corner of the card, followed by the branch design on each side, to make the pretty leaves touch in the middle. I believe this whole design took 10 impressions to make! So quick and simple. 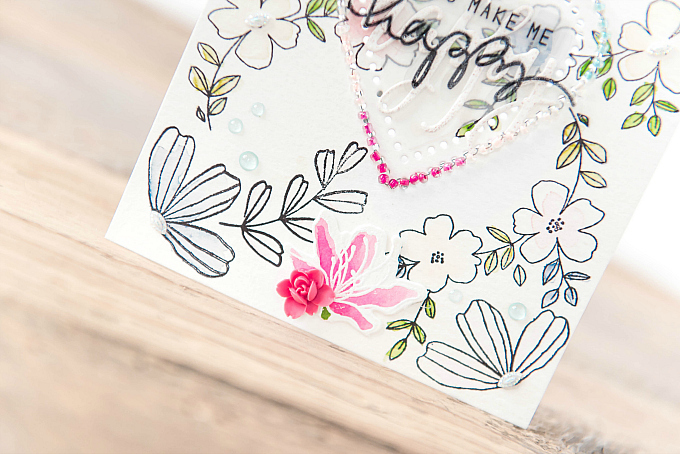 After stamping the flowers in Ranger's Black Archival Ink, I used my Zig markers to color in a soft wash of tint to each flower and leaf. 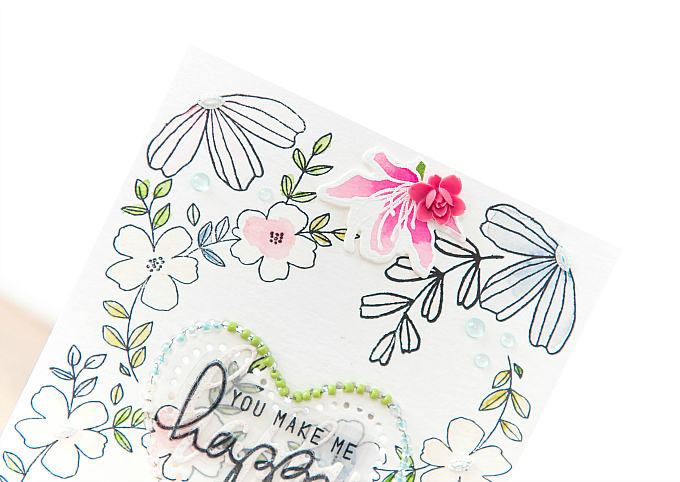 At the top and bottom of the card, I added another floral detail, stamped with Altenew's Floral Frame stamp set, embossed and watercolored. I also added two rose cabachons to finish off the floral look. In the center, I used PTI's Limitless Layers: Stitched Hearts dies to cut a design and then I used very thin wire and seed beads to add some ombre beadwork! For the sentiment, I stamped Staz-On ink onto some acetate and added it to the center of the heart. 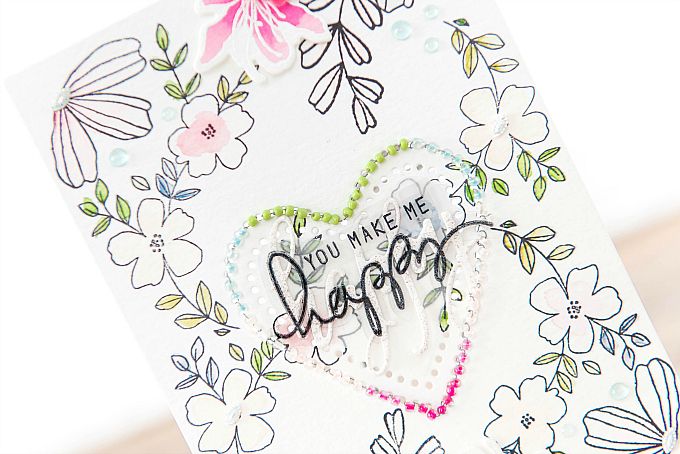 I added a few Nuvo Jewel drops around the card and I love the translucent look and softness that it adds! That's all for today but I'll be back with some more fun designs soon! 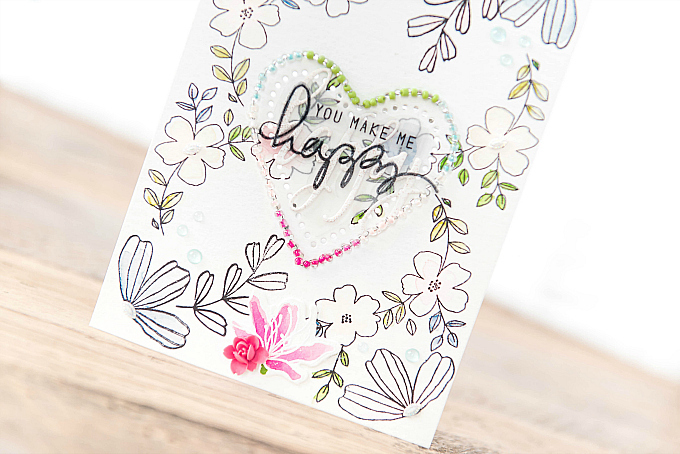 Ivana, your card is just gorgeous - so soft & girly, yet so contemporary in style! What a talent! Just when I think you've made the best card ever--you top it! Could just sit & stare at this one all day, Ivana! The beading puts it over the top, but I also love how you used the Zigs for such a soft wash of color & the roses are a beautiful addition! If I walked past this set, it'd have to come home with me--haha! Hope you're having a lovely weekend! Another beautiful card Ivana! I like the soft colors with the pops of bright pink!